It seems to me that there are two damaging, incorrect and interlinked assumptions that somehow still manage to endure nearly a decade after regional newsrooms started taking digital seriously. The first is that online audiences are not interested in serious and weighty subjects. The second is that they won’t read anything more than a few paragraphs long. If you believe these two things, then it’s understandable that you’ll have grave concerns about what the news media will look like in years to come. A world where brief ephemera is the only currency traded in is not one where scrutiny, debate and political awareness thrive. Nor is it one where individuals can find authoritative and authentic content that really gets under the skin of their own lives, communities and experiences. Fortunately, that’s not the world we live in. I’ve been working in predominantly digital roles in the regional media since 2011, and I can tell you that those assumptions were no more true seven years ago than they are now. Yet you still hear them bandied around. How come? To my mind, the enduring nature of these myths forces us to confront an uncomfortable truth about newspapers. Namely, that a fair proportion of their content existed for the principal purpose of filling space. Whether it was the page 24 lead that was written for the sole reason that page 24 existed on that particular day, or that a potentially interesting feature was padded out with an extra 500 words so it would fill a spread, there can be few people who’ve worked on newspapers who’ve not done one or the other at some point. Or, more likely, done them most days. So as a result when newsrooms like ours started putting newspaper content online meaningfully for the first time, and began dabbling with analytics, the picture that emerged was clear. Concise breaking news stories quickly gathered an audience. The strange and off-beat items found their way to their natural homes on the fringes of the internet. But long, waffly prose designed primarily to fill a mid-book feature spread? Not so much. Still, the narrative was convincing for the digital refuseniks, who needed no second invitation to characterise this threatening new development (aka, the internet) as lightweight, dumbed-down and unsuitable for serious subjects. Fast forward the best part of a decade, and there’s no end of evidence to prove the inaccuracy of that argument. And yet it’s still here, thriving in the polemics of numerous media commentators, journalism academics, industry bystanders and other people who should know better. It’s not just a myth — it’s a destructive myth. Because it devalues the outstanding, original, rigorous and creative work that’s done every day in newsrooms up and down the country. It denies the existence of high quality, engaging journalism, because of an unfounded belief that such a thing can’t exist without a printed newspaper to sit within. That’s totally wrong, and I’ll try to demonstrate why. “Too vulnerable to slow news days” is a favourite critique of mine, and one a number of my colleagues will be well used to hearing. I use it when I feel our focus has been diverted away from original and creative ideas by the daily cycle of breaking news and diary stories. Of course, these have a central place in a modern newsroom, but they’re the bread and butter. We take great pride in doing them well, but they won’t set us apart from the market. Original journalism is the stuff that no-one will miss if we don’t do it, but will be the thing people remember us for if we do it well. 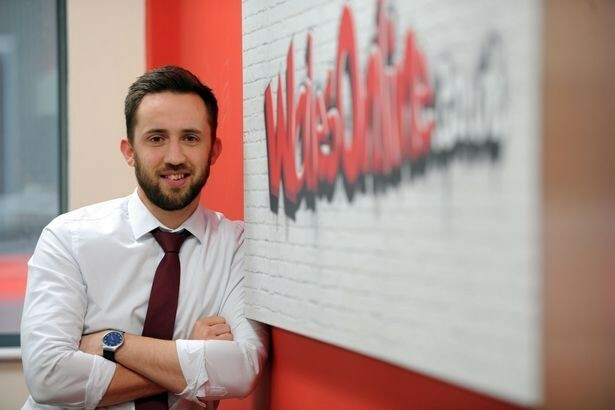 It’s central to our strategy at WalesOnline. “Long reads” is a term I’ve quickly come to dislike, mainly because it’s often bastardised to mean something that’s been horribly over-written to imbue it with a sense of importance that is content doesn’t deserve. But it’s quicker than saying “journalism with so much detail, authority and colour that it needs a couple of thousands words to do it justice”, so I’ve had to learn to bear it. We have to accept that this long-form material takes an investment in time and effort that’s traditionally seen as difficult to justify in the resource-squeezed newsrooms of the regional media. But that’s a decision people in seats like mine need to take. Do we want to be reacting to the agenda, or setting it? Better still, how can we take what we know about our readers’ lives, values, experiences and emotions and use it to build compelling stories that they not only want to read, but want to become a part of? If we get it right, this whole process also forces those involved in commissioning content in our newsrooms to consider a whole different system of weights and measures. The answer to the age-old question “How many words do you want?” becomes “as many as it needs”. And “when do you want that by?” should generally get the answer “as soon as you can make it perfect”. Of course, those rather mercurial responses bring their own challenges about delivery and quality control, but this is a post about journalistic scope and intent, so I’ll spare you the thesis on newsroom workflows for now. The point is that this approach to original journalism, assuming the correct ingredients, forces a team to shift its focus from quantity to quality. So what are the correct ingredients? Well, I’ve spent some time looking at the intersection of where an audience of scale meets an audience of quality. It’s a more basic version of the high impact story metric that David Higgerson has spoken about recently, and it helps no end in looking for common themes in the pieces that bring in a lot of people, keep them reading for a long time, and encourage them to return. Some of the themes that come through repeatedly in those pieces are these: authenticity; authority; detail; community. And, especially, the ability of a wider audience to relate to a story that’s quite specific. This piece is a great example of that latter point. It took our writer Will Hayward and photographer Richard Swingler spending a month on the road with Carmarthen Town to get it over the line. 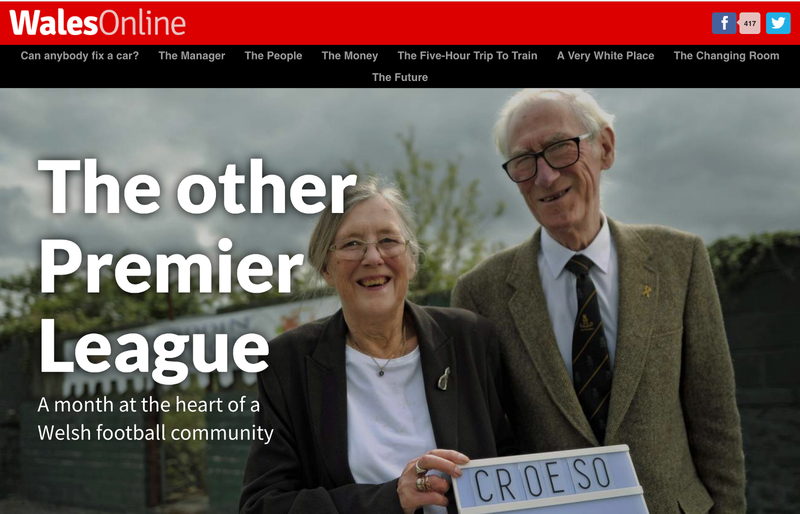 In one sense, that’s an awfully large outlay for a feature about a mid-table Welsh Premier League football club. But this isn’t a story about a mid-table Welsh Premier League football club. It’s not even a story about football. It’s about a community, and loyalty, and sacrifice, and being part of something. Those things mean something to you whether you’re in Carmarthen or Cowdenbeath, and they explain why The Other Premier League was read way beyond west Wales. This piece about a decaying — and now demolished — housing estate is another example of using one story to tell a broader one. Again, it’s the story of a community, and a moment in time, and it’s highly evocative for those people who lived in or near Penarth’s notorious Billybanks estate at any time during the second half of the 20th century. But it’s also about the widespread trend throughout the UK for councils to allow social housing to be run down in order to sell the land for luxury redevelopments. That’s exactly what happened at the Billybanks, and the strength of the twin narratives proved highly engaging for audiences. The key elements of authenticity and authority come purely through rigorous attention to detail. As journalists we’re well used to having to write about things we didn’t start out as experts about. The problem comes when we have to publish before we’ve become one. As a newspaper reporter, I recall numerous times when I was pressed for something before it was ready, or required to find extra material to fit a word length a piece didn’t warrant. I think one of the most enduring print legacies in a digital newsroom is the tendency to decide on a word length and publication time when work begins on a piece of content. It comes from needing something to fill a given page the next day. So why do we still do it with the infinite capacity of a website? The best illustration I can give of avoiding this pitfall is a pair of pieces our business desk published earlier this year, about Barry and Newport respectively. They’re not remotely similar places, but they have in common the fact that they’re perennially said to be on the up, but despite both having plenty going for them, never quite seem to get there. This felt like fertile ground to explore. And just as the two places have similar traits, so did the way the two pieces developed. They started life as so many newspaper features historically have — with loads of quotes from loads of people. And when the quotes we had weren’t enough, we got more. The problem, however, wasn’t the voices in the story (even if they were just saying what you’d expect them to say) — it was the lack of our own distinctive voice among them. We hadn’t written about the state of Newport, or Barry, in 2018. We’d got a long list of other people telling us what they thought about the subject. There was no shape, no narrative. No authority. Little by little, we managed to get that. By going back to the subject matter, and getting more — more colour, more detail, more authority. The challenge I gave our business team was that the pieces would be ready to publish when the people we were featuring would recognise themselves in our writing. More than 10,000 users reading the Newport piece for an average of around two-and-a-half minutes each tells me we eventually achieved that. This was the piece about Barry and this was the piece about Newport. One of the most interesting things from the last year has been trying to reintroduce the art of writing well into our newsrooms — the skill of conveying atmosphere and emotion; the construction of long, complex but clear narratives; the art of subtext. It feels like we’ve been training journalists for so long to collect quotes, quotes and more quotes that we’ve forgotten how to use them to tell stories. Late last year, our reporter Jess Walford spent several months immersed in Wales’s diverse Muslim communities. Her piece was fascinating: touching on issues of community, faith, racism, alienation, radicalisation and sexism. Without that phrase, we could have quoted Daoud at twice the length we did, but his words would have been half as meaningful. With that simple pair of sentences, we immediately feel that we know this man. And the words carry so much more weight as a result. We’re way past needing to prove that the audience for considered, well-constructed journalism exists online. Now the task is make sure we build newsrooms with space to have ideas, and the confidence to execute them.